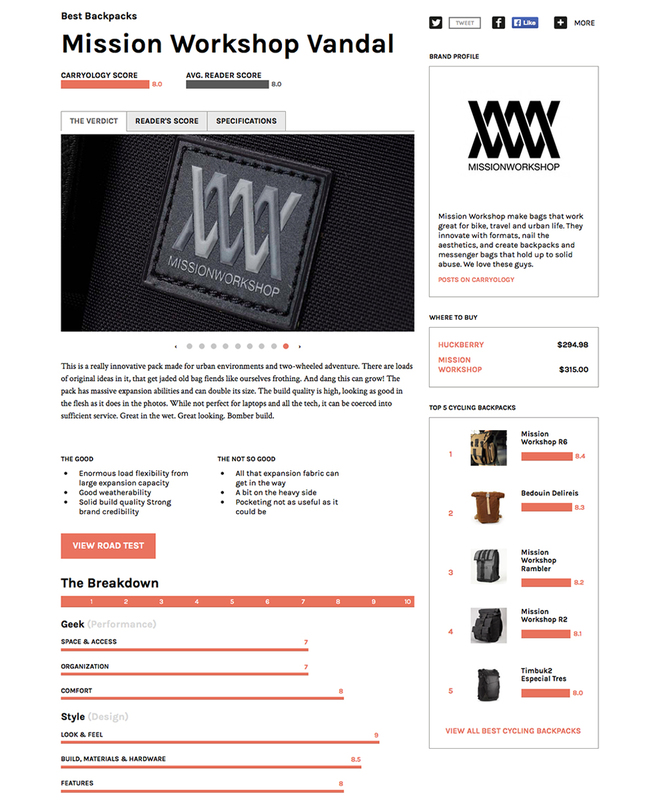 Carryology | Wordpress website by Digital Outlook. A platform to support sub-tribes, tell stories, connect and inform about the world of carry. Sneakers had little cult or community before Sneaker Freaker and a few years ago the team at Carryology started building something similar for carry products (bags, wallets, luggage, EDC etc), with passionate contributors and loyal readers from around the world. Carryology enlisted our services to rebuild the existing website and in doing so create a brand with emotional appeal (not just about ‘geekery’) and to create a reference destination that didn’t feel like a standard blog site. The first thing we did was to review the existing website, speak to the contributors and survey the readers so we could make informed decisions about the most appropriate solution. Based on the data and insights, we created a new website with custom templates for product reviews, interviews and buyers guide profiles while supporting a content model where writers from over the world contribute directly via the CMS. New functionality was built for the Carry101 section so that ‘evergreen’ content about the fundamentals of carry is always accessible and a Brand Index created to consolidate all posts for a specific brand in the one spot. Carryology continues to flourish and is one of the top Carry publishers globally. Since launch we’ve continued to support the team with new initiatives to increase traffic, engagement and revenue opportunities.